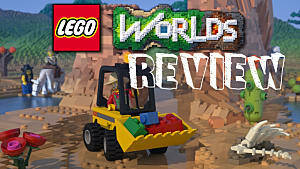 Allow me to kick off this review by first saying that LEGO Worlds has the potential to be the best LEGO game I've ever played. 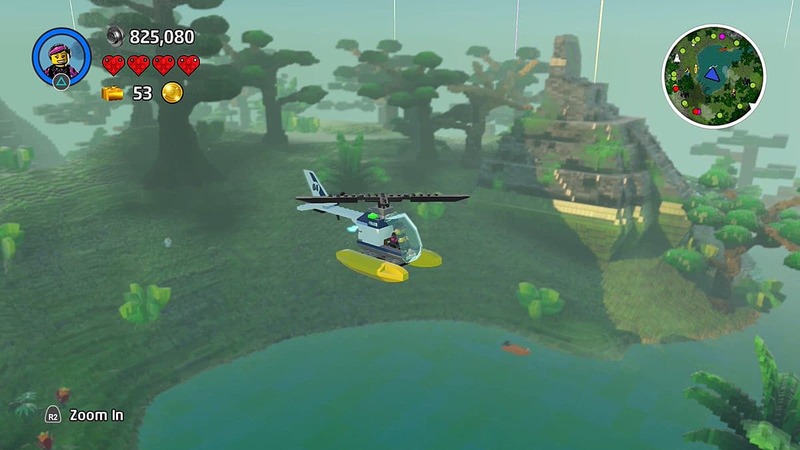 TT Games did a pretty nice job with taking the joy of our favorite childhood building bricks and translating that into a virtual landscape. 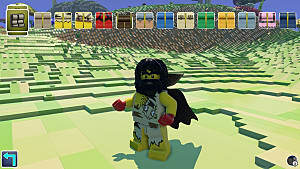 The possibilities are staggering with the insane amount of bricks, character skins, and themed assets at your disposal. 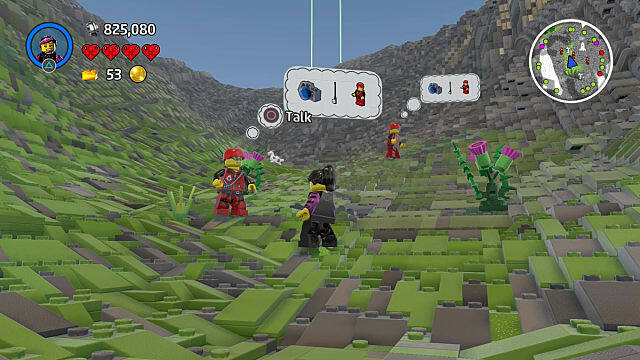 With that out of the way, however, LEGO Worlds feels like it should still be in Early Access. Beyond a vast array of technical issues that I ran into during my playtime on the PS4, I felt that a little more TLC could have been put into the world generation and overall pacing of the game, among other things. While it saddens me to see it released in such an unpolished state, the potential is definitely here. 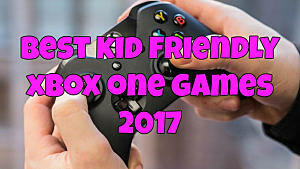 I believe this game could go far if the developers continue to iron out its issues and work towards fully fleshing out its existing content. Now, I could prattle on about how disorienting all of these mixed feelings are, or I could let the gameplay speak for itself. What is LEGO Worlds, anyway? Imagine a game of dollhouse where you play as a Master Builder on a pre-made little world of LEGOs. And you can build or rebuild with the bricks however you like. Now imagine if neither you nor your family had to go through countless hours of set-up to pull it off. From here, just mix in a never-ending supply of bricks, alongside some semblance of progression, and you essentially have LEGO Worlds. The game begins with your spaceship falling apart and crash landing into the nearest blocky mass of bricks, making a rather nice-sized crater. 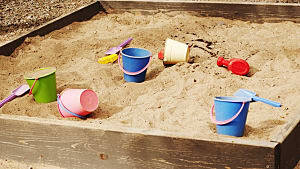 To fix it up, the game requires you to hunt down an elusive treasure called Gold Bricks. You'll need 3 to get off the island, 10 to get out of the tutorial, and 100 in total to unlock all world types and permanent equipment available. There are no world generation options to speak of until you collect 100 Gold Bricks. Heck, you're stuck with exploring single-biome small-sized worlds until you amass 25 bricks. Even after you unlock Medium worlds, spawning one from the Random World Generation button is entirely a matter of luck. Points of interest like castles, beanstalks, and towns don't do enough for any world to forgive all of the shortcomings of its procedural generation. Even if you can live with the early absence of generation options, it's worth noting that the procedural generation overall is really sub-par. The lay of the land always felt familiar to me, no matter how many worlds I visited. I never felt that feeling of awe that you get when you load into a fresh Minecraft save and discover a really radical cliff face that no one else has likely seen before. Points of interest like castles, beanstalks, and towns don't do enough for any world to forgive all of the shortcomings of its procedural generation. Unfortunately, the repetitive world generation goes hand-in-hand with a sheer lack of variety in quests. I started seeing repeats before I was even a dozen hours in. I understand that quests get heavily reused in randomly generated games like this, but I ran into the issue far too soon and too often to continue to suspend my disbelief. I felt like my retention was artificially padded -- where it seemed like I was constantly discovering new things, but only because they lock off entire biomes and other important map features until you collect a number of Gold Bricks. For example, cities only start spawning on Medium worlds, but there are a few extra town variations that only show up after you've unlocked larger worlds. Now don't get me wrong, TT Games did a great job making sure every type of city and biome feels distinct and truly unique. However, they simply don't spawn in enough interesting ways to make each biome or type of city worth visiting more than a handful of times. The charm just dies out after the first visit. 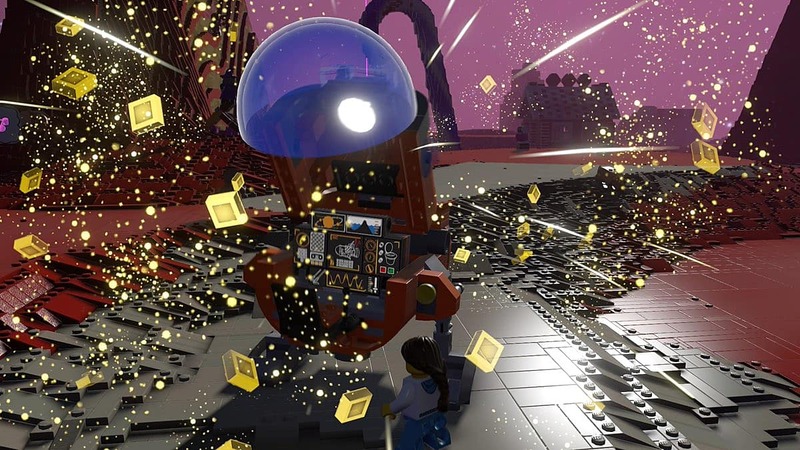 Considering LEGO Worlds is essentially a sandbox game, you may decide that its poor ability to build itself doesn't matter all that much when you can just rebuild it. If so, hats off to you. But it pays to be aware of how the creative tools work so you know how big of a time investment you're looking at for getting all the bricks you want for your mega-build. The first thing you're introduced to is the Discovery Tool. This simple device can essentially scan objects, vehicles, creatures, and characters found throughout the world for use in your own projects. I love this tool because it really augments the experience of exploration. If you find something new, you can scan it and essentially never live without it again. This is fantastic because anything that's not made out of bricks can be scanned. If you found an awesome airplane, you can scan it and use it on all of your future expeditions. If you find a character you really like the look of, you can scan them and wear their skins. As a bonus, the more character skins you have unlocked, the better the character randomization button gets. Once you discover your way off the first island, you'll find yourself in a volcanic region with nothing but a brand new Landscape Tool to get by. With this nifty gadget, you can Flatten, Smooth, Raise or Lower, Add or Remove, and Replace the bricks that make up the landscape. It's simple in concept, yet as powerful as your favorite creative mods for Minecraft. After landscaping your way off the second map, you're introduced to the Build Tool. With this equipped, you can use LEGO bricks to build whatever structures you like. If it sounds too good to be true, that's because it is. 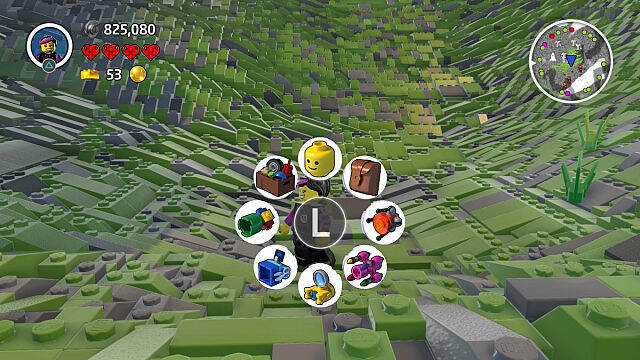 Even after dozens of hours, I've only unlocked around 33% of the available bricks in LEGO Worlds. Next up you'll find the Paint Tool, which allows the player to replace the color or material of any brick. With this, you could paint a brown barn red or the green grass into red hot lava. This is another simple yet powerful tool normally only found in mods for these sorts of sandbox games. Finally, the game drops you the Copy Tool for your convenience. This tool, as you might guess, allows you to copy anything in the world and paste it anywhere. You can even save the copied segment as a blueprint to place later with the Discovery Tool. After collecting all of the tools, you get your hands on Free Build mode, which is essentially a place where you can access all of your tools without needing to go back through the fiddly menu. Speaking of fiddly menus, little is more frustrating in this game than the controls. The interact button has surprising inconsistencies, the menus are too difficult to reach, and combat is absolutely horrid. Even coming from a grizzled Dark Souls background, every death I experienced felt unfair and somewhat unavoidable. It seemed like the only way to avoid taking damage while simultaneously dealing it was to stun-lock an enemy -- and even that felt inconsistent. I've also encountered a number of bugs dealing with the player character. 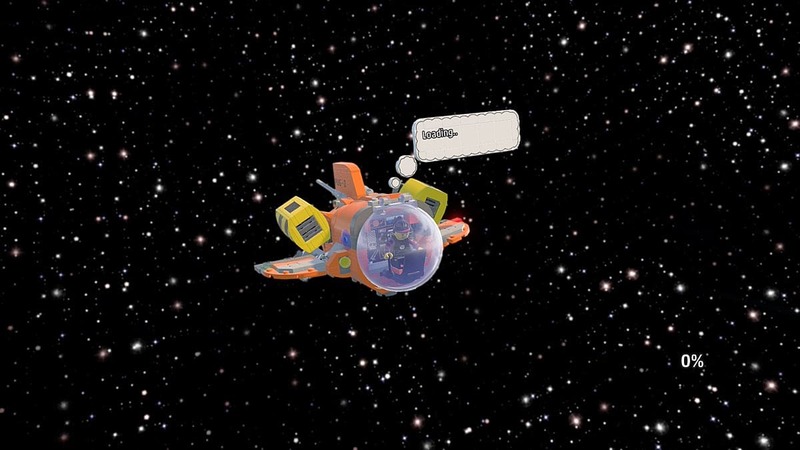 For example, my character often wanted to default to the Discovery Tool after interacting with something like the spaceship, a treasure chest, or even an NPC. One time it bugged out to the point of being unable to place anything with the Discovery Tool until I rebooted the game. Another time I managed to get myself stuck by trying to interact with too many things at once. Another reboot was required to be able to move my character again. Finally, I did experience one bizarre crash while taking off in my spaceship to visit another world. 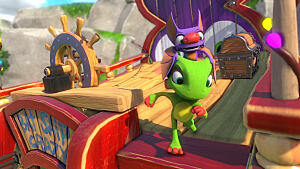 Oddly, I noticed that the character skin was changed upon loading back in after the crash. None of these technical issues would really bother me on their own, but they happened so frequently that it really disrupted my groove. I can only imagine the level of grief this would cause should you crash or freeze in the middle of working on a massive project. I want to reiterate that I actually really like this game. LEGO Worlds has heaps of potential and TT Games has a really solid vision. 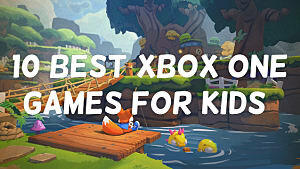 If they continue to work on and improve this title, it could easily contend with the top 3D sandbox games on the market. 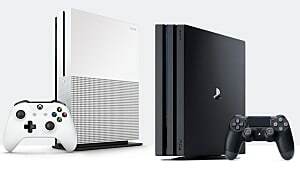 If you have a rig bulky enough to handle it, I highly suggest picking up LEGO Worlds on Windows PC as opposed to the PlayStation 4, Xbox One, or Nintendo Switch consoles. 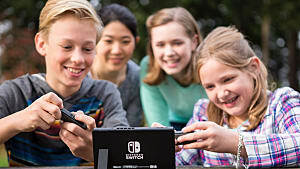 The exclusive creative mode code combined with always being up to date on the latest patches easily makes it the superior platform for experiencing this game. If LEGO has anything over Minecraft, it's that the world isn't confined to blocky square shapes. If you can get past the padded out progression and the current lack of depth in world generation options, you're looking at a true gem that most modern-day creative sandboxes can't even compare to. 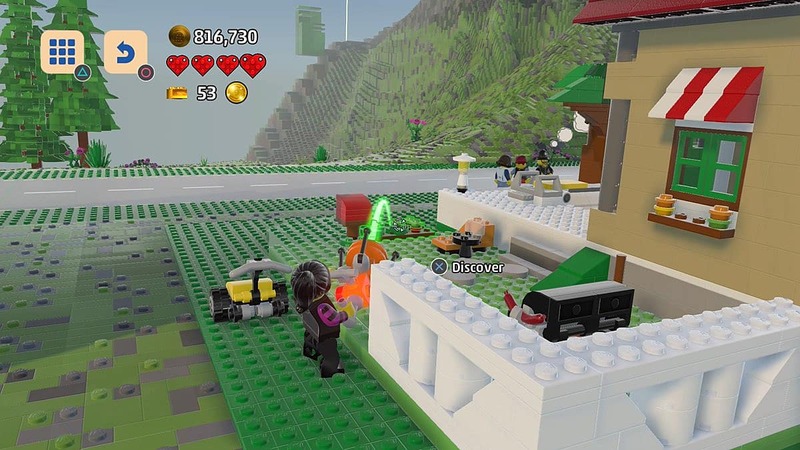 LEGO Worlds may be TT Games' best LEGO title yet, but even so it falls short at almost every turn. Surprise! 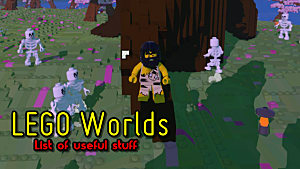 LEGO Worlds already on Steam - is this the Minecraft killer?